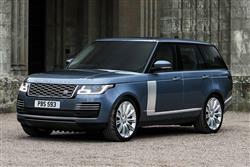 The improved fourth generation Range Rover is more efficient, better connected and smarter inside. Jonathan Crouch looks at what's on offer. So many cars claim to be unique but the Range Rover really is, continuing to set the standard in the super-luxury SUV sector. This improved MK4 model gets the option of petrol/electric Plug-in hybrid power for the very first time and all variants get a redesigned cabin with a more intuitive 'Touch Pro Duo' infotainment system. Otherwise, things are much as before, this aluminium-bodied luxury SUV good enough to properly combine the imperious qualities of a top luxury saloon with off piste abilities that would be limited only by the skills of its driver. A Rolls Royce in the rough, there's nothing quite like it. 'Don't change it: just make it better'. 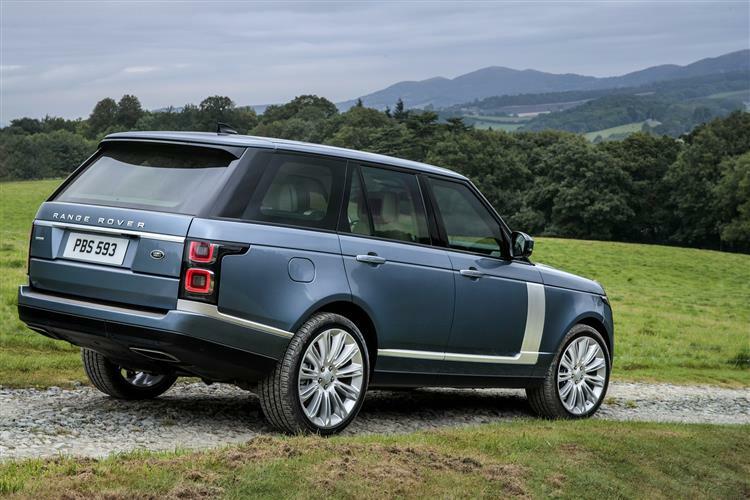 That's what Range Rover customers have long told Land Rover, so consistent evolution of this model has long been the Solihull company's mantra when it comes to this car. With a pedigree over four distinct generations going all the way back to 1970, it's always been, without question, the 'finest 4x4xfar'. We're currently edging towards the end of the lifespan of the fourth generation version, but even at this point in this design's development, some pretty fundamental changes are being introduced - a key one being the introduction of Plug-in hybrid power that we'll be discussing in this review. This MK4 model adopted a lightweight aluminium body structure to make itself faster and more responsive at the same time as being more efficient and cheaper to run. As ever, this car offers a properly limousine-like rear cabin and performance approaching that of a super-saloon. And yes, if you need it to be, it's well capable of allowing you to set off across the Serengeti or explore the Amazon. It is, more than ever, one of a kind. 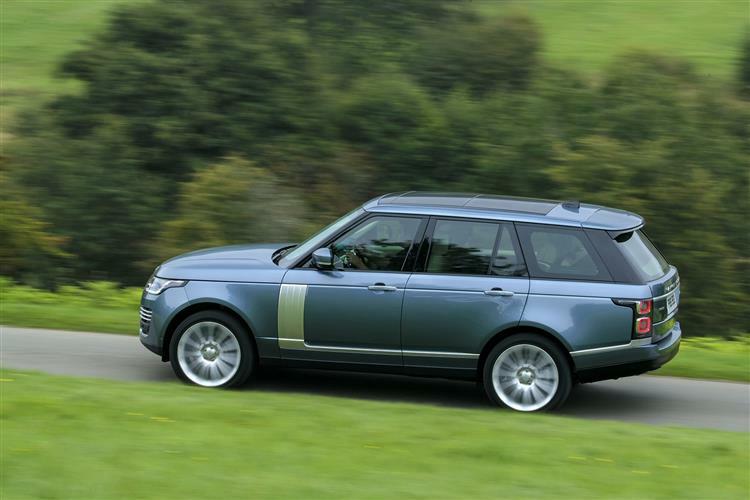 Did we ever imagine we'd see a Range Rover with a four cylinder engine? Probably not but the sophisticated aluminium underpinnings of this fourth generation design have made that possible. The four cylinder powerplant in question is the 2.0-litre petrol/electric hybrid unit that headlines this model's most recent improvements, but we'll get to that shortly because most customers are going to want something more conventional beneath the bonnet. The most popular unit is the 258bhp TDV6 six cylinder diesel that's served in this MK4 model since its original introduction, an engine that develops a hefty 600Nm of torque, good enough to send you to sixty in 7.4s on the way to 130mph to the accompaniment of a growly but rather appealing engine note. If you want more, an equally familiar lump to regular buyers is the 4.4-litre SDV8 diesel which offers 339bhp and 700Nm of torque, enough to dispatch the sixty sprint in 6.5s on the way to a top speed of 135mph. 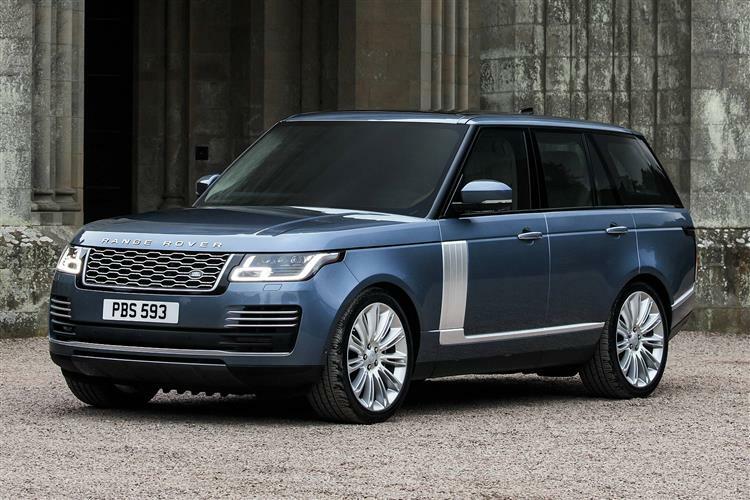 For the few who'd consider a conventional petrol-powered Range Rover, there's a 340bhp 3.0-litre supercharged V6 and a 5.0-litre supercharged V8, available either with 525bhp - or 565bhp in top 'SVAutobiography Dynamic' guise. As for that Plug-in hybrid, well it's badged 'P400e PHEV' and develops 404bhp; enough grunt to get you to 60mph in 6.4s en route to 137mph. Off road, things are much as before; supremely capable in other words. 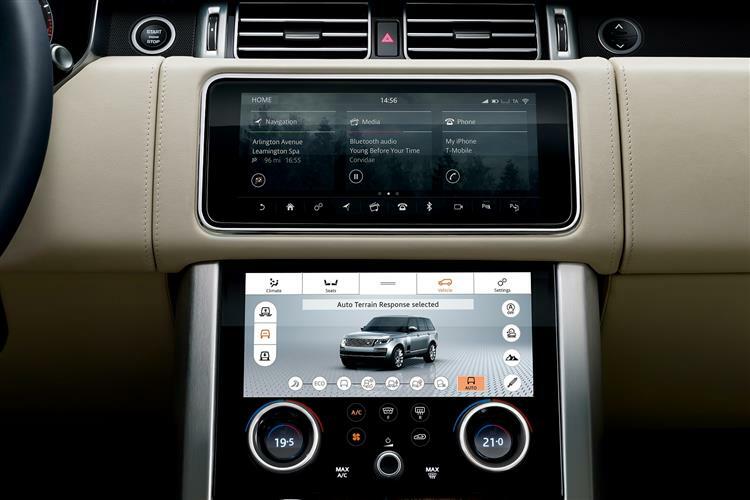 There's a full time 'intelligent 4WD system' with a two-speed transfer 'box (that you can shift down into on the move at up to 37mph), plus the option of Land Rover's very clever All-Terrain Progress Control system. Here, the driver can input a desired speed without any pedal inputs. The ATPC set-up will then maintain that, reducing the driver's workload and keeping the car's composure over steep gradients, rough terrain and low-grip surfaces. 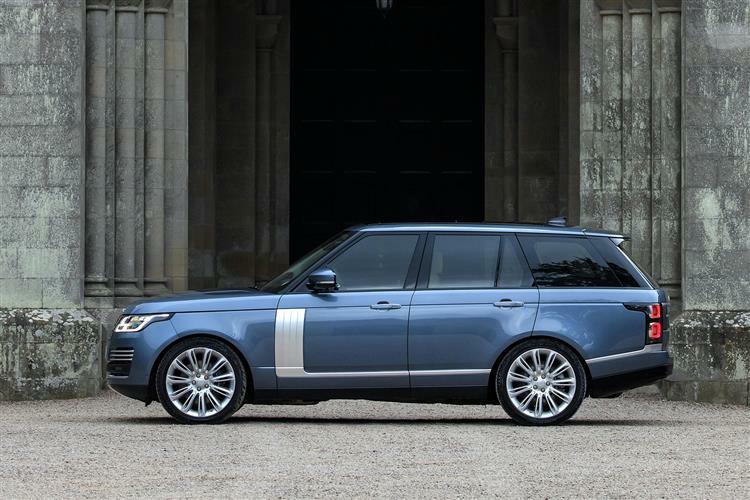 List prices suggest that you'll be paying somewhere in the £80,000 to £95,000 bracket for most mainstream short wheelbase Range Rover models but it's easily possible to pay far more than that. 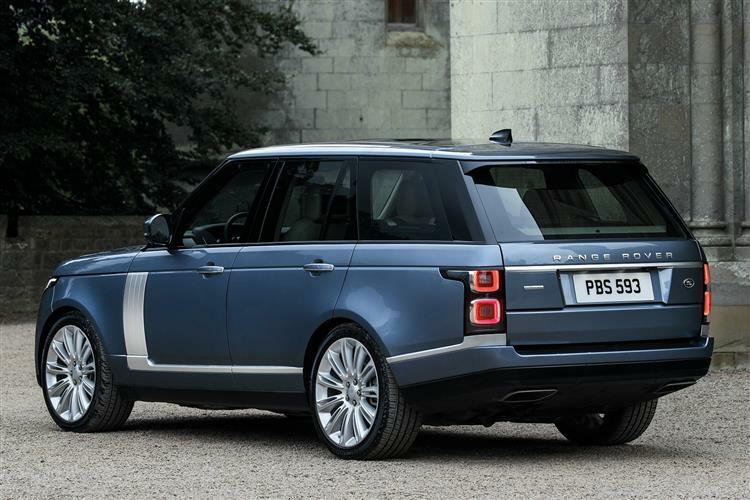 The V8 supercharged petrol variants, for example, don't even start price-wise until you get to around £110,000 and a top long wheelbase 'SVAutobiography' derivative will cost a cool £177,000. 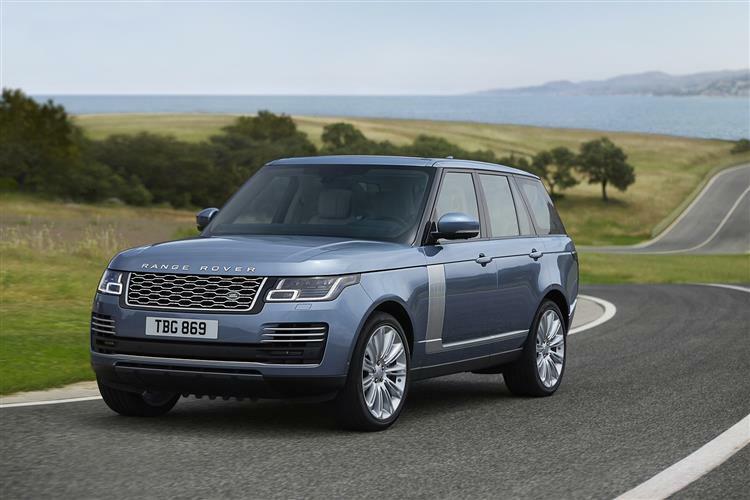 Talking of long wheelbase models, bear in mind that if you go for a lengthened Range Rover, you won't be able to order the base TDV6 diesel engine and you'll have to have top 'Autobiography' trim, all of which means that LWB Range Rover pricing starts up at around £113,000. As you'd expect, you get a lot more for that in terms of equipment. Items added us part of this range revamp include a gesture-controlled sunblind; a cabin air ionisation system; Pixel-laser LED headlights that never have to be dipped at night; and an 'Activity key' allowing you to securely lock and unlock the doors without the need to carry a conventional key fob. 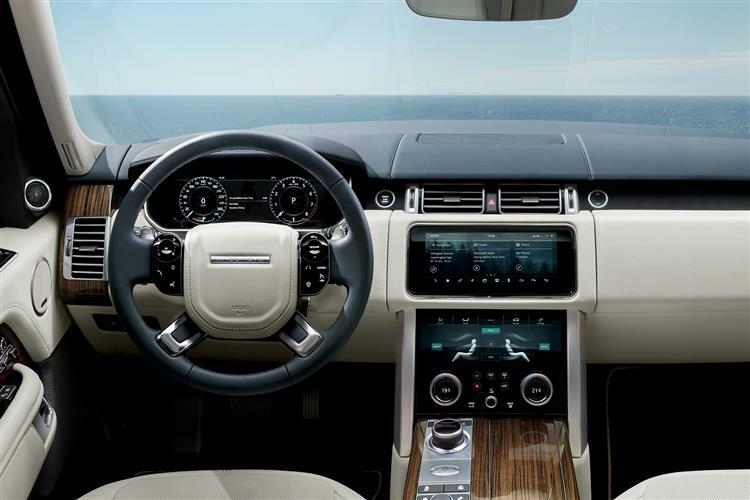 Other clever driving features include Adaptive Cruise Control, plus Land Rover's 'Queue Assist and Intelligent Emergency Braking' set-up. Advanced Tow Assist takes the anxiety out of reversing when towing a trailer. And Low Traction Launch is a manually selectable driving mode that helps you gain traction when pulling away on slippery surfaces. This might be the most economical Range Rover line-up ever made but buying one still won't get you installed on the Greenpeace Christmas card list. Add on a few options and it could easily end up weighing over two and a half tonnes, which makes the 40.9mpg combined cycle fuel figure and 182g/km CO2 return boasted by the entry-level TDV6 model all the more impressive. If you want to do better than that, you'll need to talk to your dealer about the 'P400e' PHEV Plug-in hybrid petrol/electric variant that's been introduced into this revised range. This derivative is based around use of a 2.0-litre Ingenium petrol engine mated to an 85kW electric motor housed in the ZF automatic eight-speed auto transmission. It can be charged from a domestic plug or a garage-based wallbox, the latter installation able to recharge the car in just 2 hours and 45 minutes, poviding for an all-electric driving range of 31 miles from the 13.1kWh high-voltage lithium-ion battery. The SDV8 diesel isn't quite in that league of course, but 33.6mpg on the combined cycle and 219g/km of CO2 will be better than you might have been expecting - though not as good as more powerful diesel rivals like the BMW X5 M50d or the Porsche Cayenne Diesel S. The supercharged V8 petrol model is of course a different proposition altogether in this respect, recording 299g/km and a combined cycle fuel return of just 21.6mpg. 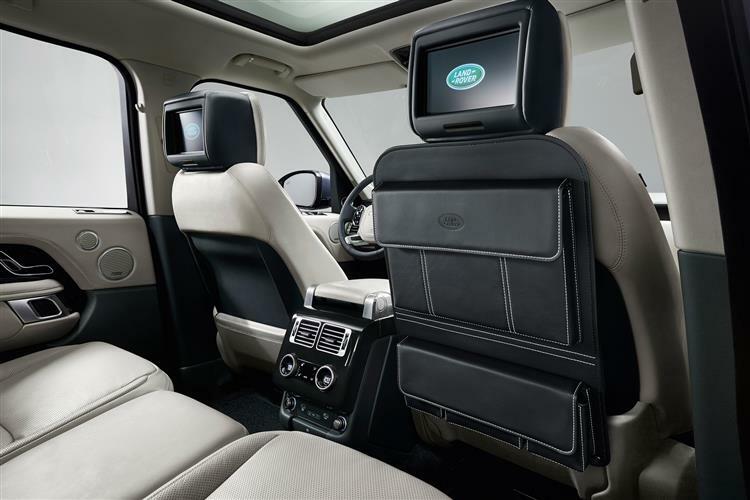 From princes to politicians, from rock gods to rock climbers, from footballers to farmers, the Range Rover has always appealed to a more diverse group of customers than any other car. As you'd expect it would. This is, after all, far more than just the world's finest luxury SUV, instead unchallenged as four vehicles within one - an everyday luxury saloon, a weekend leisure vehicle, a high-performance long distance private jet and a working cross-country conveyance. Drive it through a river, drive it to the opera: it's as happy either way, beautifully built, gorgeously finished and astonishingly quick. True, this car is never quite going to be all things to all people but it has perhaps moved as close to fulfilling that remit as any modern car is ever likely to get. Makes you proud to be British doesn't it.